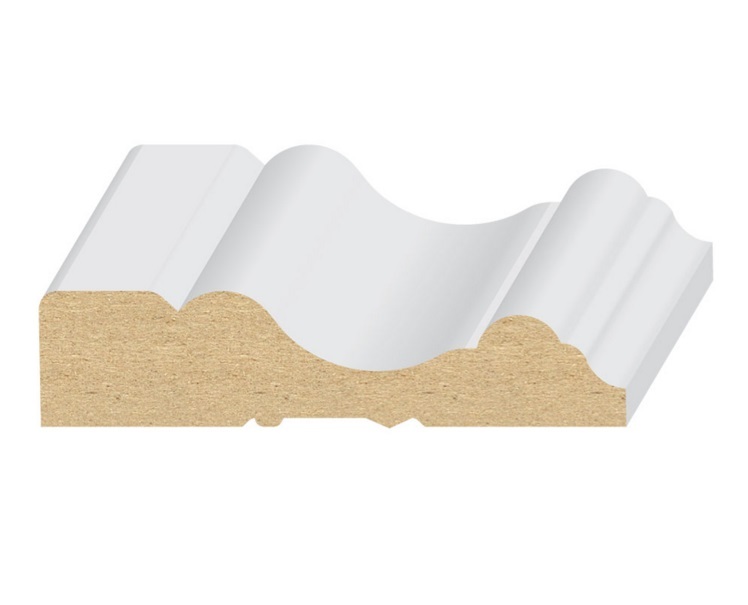 150MUL - CAPE COD MDF CASING MOULDING 2-1/2"
150MUL Ultralite Cape Cod Casing MDF Moulding is easy to work with, affordable, and responsible. Produced from sustainable forestry management and imported from Chile, 150MUL Cape Cod Ultralite MDF casings are preprimed, have no joints, will not crack, split, twist or warp and never has raised or inconsistent grain. Ultralite MDF is similar to the weight of Pine at a better price. Should you require some flexibility, FLEX-Moulding is available, ask about Valuflex. Choose 150MUL Ultralite Cape Cod Casing and give your home the finishing touch it deserves! Serving Orange County, Riverside County, San Bernardino County, Los Angeles County. Please call our friendly customer service department 877.389.9157 to place your order today! EL & EL Wood Products CAPE COD MDF CASING MOULDING 3-1/2"
EL & EL Wood Products CAPE COD MDF BASEBOARD MOULDING 4"
Name CAPE COD MDF CASING MOULDING 2-1/2"